After a transfer window that has been filled with more drama than actual transfers, one of the more dramatic saga’s has been the curious case of Mr Wayne Rooney. Friend of the blog and regular contributor Marcel Sigg, a Manchester United fan, answers the nagging question, Wayne Rooney, should he stay or should he go? Wayne Rooney, Manchester United’s talisman for most of the past decade, PFA player of the year, 2010/11 and winner of numerous titles, cups and trophies, is still the topic of discussion with only 2 weeks of the transfer window left and despite the Club issuing a statement that he would not be sold. By all accounts the striker has apparently handed in his second written transfer request since joining United as a talented youngster from Everton. Now 27, and possibly with the best years ahead of him, Rooney experienced a slump in form during 2012/3. Whether or not Ferguson predicted this slump, witnessed his lack of effort in training a year earlier or just decided he needed another striker with a better goal scoring record, we will never know; what we do know is that at the beginning of last season Robin van Persie arrived from Arsenal for 24 million pounds and immediately became Ferguson’s first choice striker, pushing Rooney back to a supporting role, sometimes even as deep as midfield. If all the news and rumours are to be believed the first transfer request was to play his hand for better pay. He had scored 34 goals in 44 games in the previous season and possibly deserved an improved contract. The club met his demands and he wound up with the 3rd highest salary paid to a professional footballer behind Messi and Ronaldo after threatening to join United’s bitter rivals, mega-rich City. This time it’s different, he wants out because he can’t hack it. The truth is RVP is currently a better player in the striking position. 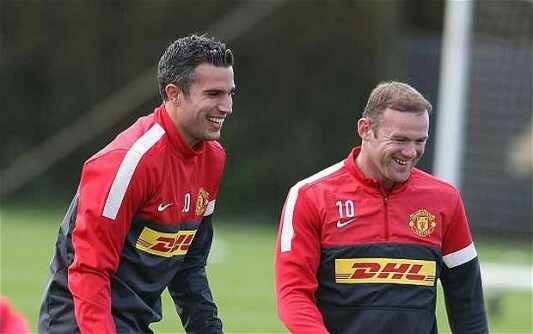 RVP would be first choice at every single club the two of them played at together. This is not opinion, this is simple fact. 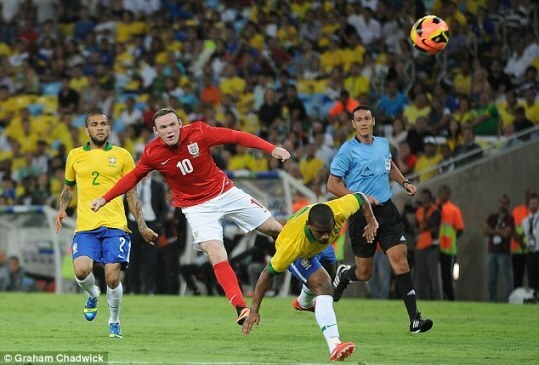 Wayne Rooney is capable of sublime feats in front of goal like the overhead bicycle kick to beat City. 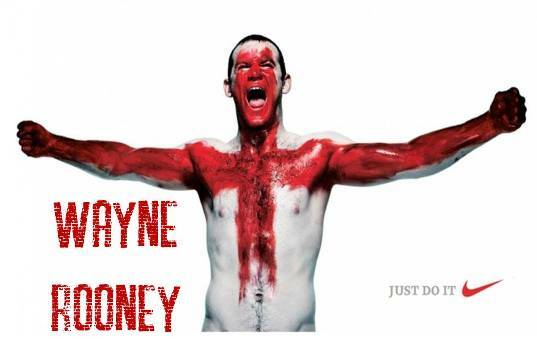 Most fans will tell you no one works harder than Rooney but something else has changed. It appears that he doesn’t want to play second fiddle to one of the greatest dutch strikers. It appears that he doesn’t want to take Paul Scholes’ midfield position where his hard work ethic and ability to distribute would be most valuable to United. It also appears that he has forgotten how many goals Scholes was able to score from his central midfield role during his prime. The truth is Wayne is pushing his hand again. Last time he had 4 aces, this time I’m afraid I think he is sitting with a pair of 3’s and everyone else has 4’s or better. The question is what is Moyes going to do. He has already come out and said something to the effect that Rooney is a squad player and that United need him in case something happens to RVP. This obviously isn’t going to sit well with a player who considers himself the star of the show. The bad news for United fans, Rooney is injured again. He missed the pre-season tour and the Charity Shield. It was rumoured that he arrived from holidays in top form, a contentious issue from Ferguson’s last season in which he claimed Wayne was not fit enough. The good news for United fans, Chelsea have made a reasonable bid for a player who management consider to be little more than a back-up to the first team. Initial reports suggested £ 10 million with player swaps. Most notably Mata, Chelsea’s best player of the past two seasons. Mourinho has a squad with Torres, Ba and Lukaku, why he would sign Rooney is beyond my comprehension. Mourinho is the master of mind tricks, perhaps he is just offering enough to get Wayne excited then cut him down to size with a pathetic weekly salary to cause more disruption in the dressing room at United. Personally I think he has had the opportunity to come forward and say he wants to stay at United. Many players use twitter to make things public, a simple tweet of “United for life” would’ve seen him forgiven by the fans yet again but his silence is testament to his desire to push either for a better salary to sit on the bench or to actually leave. As a fan, I’m fed up and hope we sell him to some obscure Russian club with a clause that prevents him from being sold to any Western European club for the next 5 seasons. I also hope their home ground is somewhere in Siberia and only has 4 months of natural light per year, with highs of 4 Centigrade and lows of -50. Fourie du Preez – Yes, No, Maybe?